As bad as my eyes are getting I most certainly need a lamp like this! The eye strain I get from constantly being on a computer has actually had my eyes aching--not to mention the headaches I've been getting. I definitely need a lamp which will shed light where I need it most!! Read the review below to find out more. 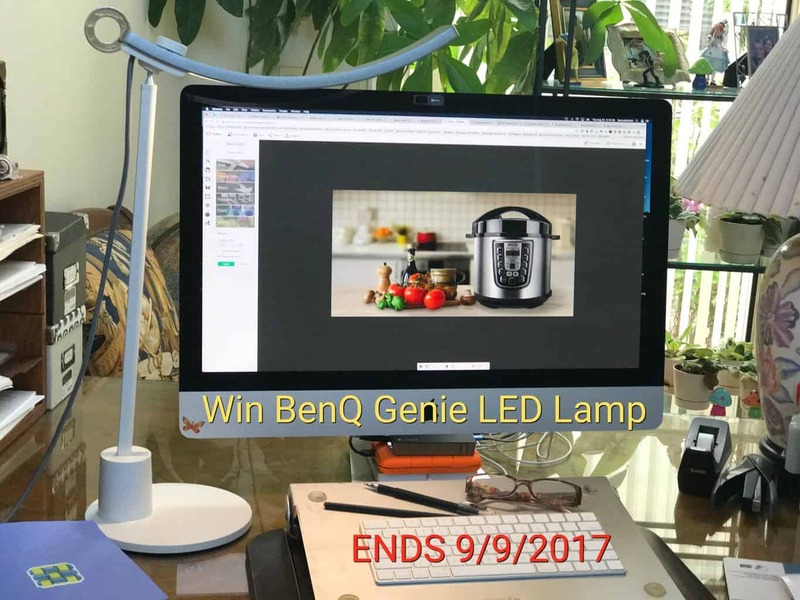 Protecting your eyes in front of the computer, or when you are crafting, reading, or are involved in the project that required good eye attention – this smart BenQ Genie LED lamp comes to your rescue! Designed to specifically help us with our computer work, it can be used for other tasks that call for eye tension and attention! Check out this lamp on Celebrate Woman's review here. Check out the features of this smart BenQ Genie Lamp! I have a decent light at my desk but would like to get a better one for my bedroom to read. I do have a decent reading lamp. I would like to have one for the office desk though. There is not enough light there and a lamp would be better than the overhead light. I have a book light but it doesn't work for other tasks. I need a new light to use when im sewing my old one is not very bright.